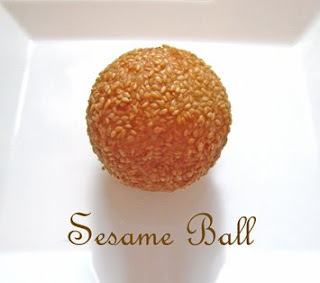 Posted by Brilynn at 10:59 p.m.
Oh my goodness, I love sesame balls. I used to just devour these when I was a kid. I love them with shredded coconut in the middle! These are my favorite treat from the chinese bakery too! My brother's gf is chinese, so she always brings these to the house whenever she comes over. 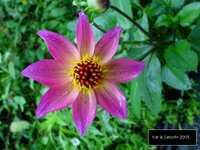 I love them when they are still warm. Thanks for sharing all of these fun treats with us! I don't think I've ever had this before...looks like it would be good! Looks delicious! I wonder if they are sweet or savory. nice picture and the sesame treat appears to be lifted away immediately ! They are my favorite too! My twin hates them, so I always get two! I love them all hot and greasy. YUM. These are called jin dui. Anita over at Dessert First posted a recipe for them last year - you can now make them yourself!